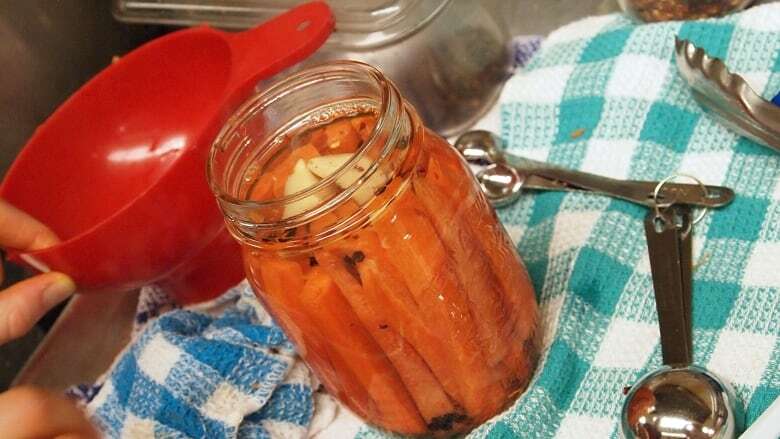 The autumn trend in food is to grow and preserve it yourself. 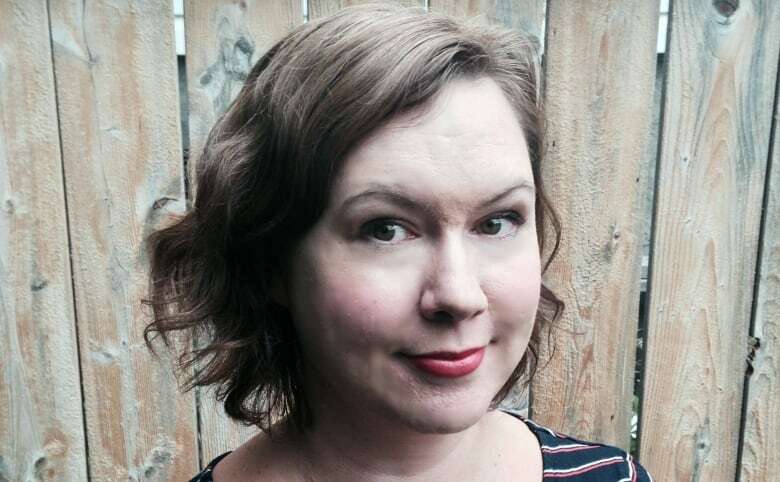 Homestretch food columnist Elizabeth Chorney-Booth on the rise of canning. The leaves are going to fall, the temperature is going to plunge, but thanks to canning, there are ways to stretch out your garden-grown vegetables supply — and be trendy at the same time. That was the word from Homestretch food columnist Elizabeth Chorney-Booth, who talked about autumn canning in her Food Report this week. The popularity of canning and pickling is part and parcel of a growing movement that embraces growing your own food, says Chorney-Booth. "It's sort of part of that larger trend of making everything from scratch. That philosophy of if you can do it yourself, you may as well do it," she said. That philosophy begins with planting as much of your own food as you can. "For a lot of people, gardening is a big hobby too right now," she said. "If you can combine that sort of homemade everything with gardening, this is the way to do it." That preservation trend includes old favourites, and some new twists on the same theme, she says. "There's marmalades and jellies and conserves — fruit butters and all different jam varieties. The other big one, of course, is pickles. Pickling is a big trend right now," she said. "You can pickle just about anything. 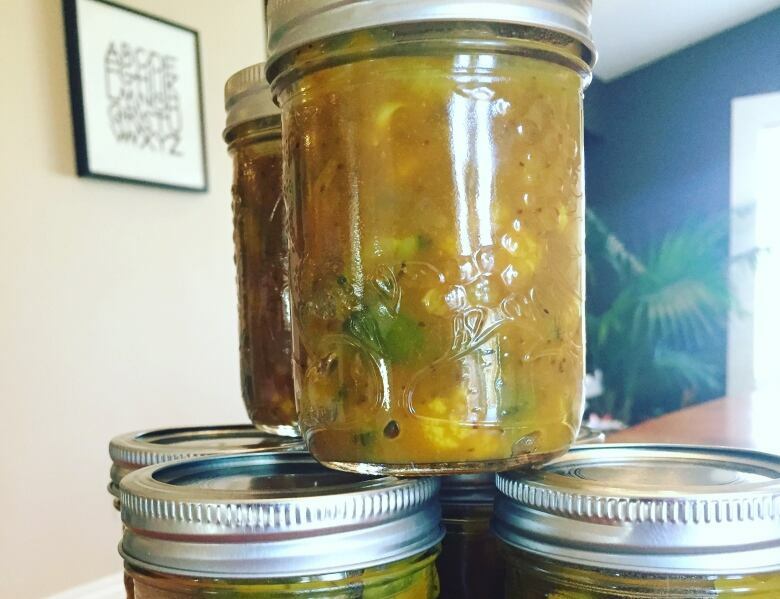 People like doing quick pickles, but you can do the longterm processed pickles as well." For home canners, Chorney-Booth advises not to go with your gut. Instead, go buy the book. "Basically, what canning is, is you're taking something that would otherwise go bad and making it shelf stable — so there's a lot of food safety issues. If you don't do things right, you can potentially make someone really sick. Or ruin all your food." Chorney-Booth says the cooking approach of playing with recipes and toying with experimenting with ingredients, should not apply to canning. "Don't do that," she said. "Even things like the sugars and acidity levels can throw things off and make your stuff go bad." "Lots of chefs are doing their own pickles, and jams for breakfast. They're all excited about it and are all in full swing," she said. Some of Calgary's finest restraurants embrace the do-it-yourself approach. "If you think about those restaurants that have their own in-house gardens like Rouge and the Dean House and River Cafe — all of them are putting their gardens to work right now," she said. "But there's other places too that might not have a garden you can see — like Foreign Concept, The Guild and Nash, Charcut — those kinds of levels of restaurants are doing this sort of stuff. Also some of the less fine dining places — like Bite in Inglewood — are doing their own jams." Will the canning trend last? Like all food trends, Chorney-Booth says probably not. "Some people will try it once and decide they don't want to put in the effort," she said. "But once you start doing it, you realize it's not that hard. There are ways to do smaller batches. You don't need to necessarily get 100 pounds of apples. "Nobody wants 75 jars of the same kind of pickle."